Even if you aren't a professional makeup artist or beauty blogger, chances are you probably use more than one makeup product on a daily basis. 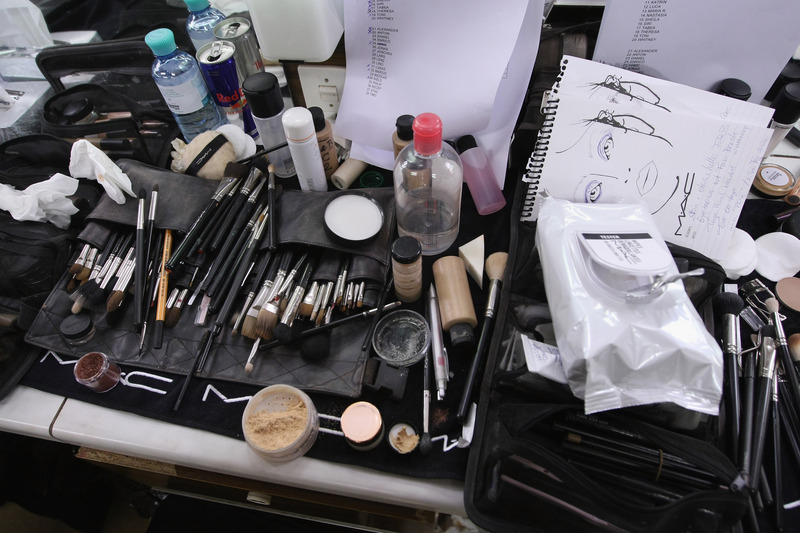 Research predicts that the average woman will spend about $15,000 on makeup over the course of her life. While each item in your makeup bag might not seem super expensive, especially if you balance high-end with drugstore products, by the time you add up the cost of all your must-haves you'll probably realize that you spend a lot of money on makeup. So what are you paying for, exactly? According to Quartz, "the ingredients in these products often account for no more than 15 percent of the cost." The rest of the price of your makeup can be attributed to "marketing, packaging, and brand prestige," the publication reports. Randy Schueller, a makeup chemist told Quartz that “price does not really correlate to quality when it comes to cosmetic products," which might explain why some drugstore items are just as good as products you may scoop up at a department store makeup counter. So, if price does not necessarily mean a better product, why not save some money when you can? I'm not saying you have to give up your ride-or-die lipstick or foundation, but if you're on the hunt for some new must-haves, you can always check out the beauty aisle at your local drugstore to see if there's something that strikes your fancy. Here are some of my favorite affordable products from the best inexpensive makeup brands out there, so you save some money the next time you run out of mascara. This Wet n Wild blush is super pigmented, so you only need a very small amount in order to get a rosy flush. And it only costs a few dollars, so that's a win. Everyone I know who has tried this mascara has absolutely loved it. If you want big, full lashes for less, it's worth a try. This two in one concealer and highlighter works wonders. The concealer covers dark circles and blemishes with its lightweight formula and the highlighter can be used to reflect light underneath your eyes to diminish dark circles, but it can also be used on the rest of your face for some quick strobing. ULTA lipsticks are a great example of why you don't need to buy a brand name in order to get a quality product. The color selection is awesome and they go on super smooth, never drying out your lips. And they often are a part of some kind of promotion, so you can get a few for the price of one. Tame your brows with NYX's clear brow gel. Some designer brands make you pay $30 for a clear brow gel, but this one will only cost you a few dollars.